DALIAN, China, Sept. 26 (Yonhap) -- Long-standing tensions over North Korea's nuclear weapons program will top the agenda of an annual security conference that brings together all key regional players committed to resolving the communist country's nuclear drive, a diplomatic source said Wednesday. The Northeast Asia Cooperation Dialogue (NEACD) will draw government officials and civilian experts from South Korea, North Korea, the United States, China, Japan and Russia in this eastern Chinese port city of Dalian on Thursday and Friday. Organized by the University of California Institute on Global Conflict and Cooperation, the NEACD has served as an opportunity for informal dialogue between North Korea and its nuclear negotiation partners. Last year's meeting was held in Hawaii, but North Korean officials did not attend. "This week's forum is expected to reaffirm existing stances over North Korea's nuclear issue," the source said on condition of anonymity. Lee Do-hoon, South Korea's deputy chief envoy to the six-party talks aimed at ending the North's nuclear weapons program, will attend the forum. Other nations are expected to send their deputy chief nuclear envoys to the conference. Choe Son-hui, a deputy director in North Korea's foreign ministry, arrived in the Chinese city on Wednesday. She is expected to participate in the forum, according to Seoul's foreign ministry sources. Choe, the adopted daughter of the communist nation's Premier Choe Yong-rim, serves as the North's vice representative of the six-party talks. 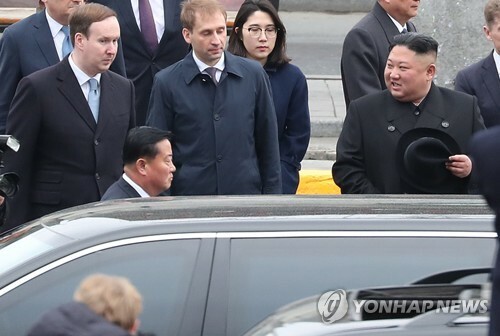 She was accompanied by several other officials, including Han Song-ryol, Pyongyang's deputy ambassador to the United Nations, the sources added. Formal six-party talks between the six nations were last held in late 2008 and diplomatic efforts to resume negotiations have been frozen since April, when North Korea defiantly launched a long-range rocket that failed moments after lift-off.